Until the end of World War I all of the Tyrolean Alps belonged to Austria. But the peace treaty rewarded Italy for fighting with the Allies by giving it the part of Tyrol that lies south of the Alpine watershed. The new zigzag border along the mountain peaks split the diocese. The bishop who had been "temporary" administrator of the Austrian part saw his chance and tried to turn this fragment into a diocese of his own. The first push for a concordat came from an Austrian bishop, who wanted to make his job permanent. Ten years after WWI had ended Bishop Sigismund Waitz was still waiting in professional limbo. 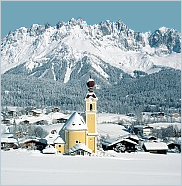 When national boundaries were redrawn after the war and South Tyrol was ceded to Italy, the Diocese of Brixen was split into an Italian and an Austrian part. Bishop Waitz had been installed as “Apostolic Administrator” of the Austrian part, the district of Innsbruck-Feldkirch, and he wanted this raised to an independent diocese ― with himself as its bishop. As it turned out, he got his wish: Article 3.2 of the Concordat that was eventually drawn up pledges “the future establishment of the diocese Innsbruck-Feldkirch”. However, the bishop needed a more powerful figure to get the process rolling and was obliged to wait a few years longer until the Austrian Government got involved. Like the bishop, the Austrian government also had a matter for which it needed Vatican help. This was the marriage question. According to the law of the time Catholic marriages could not end in divorce which led to an ever more untenable situation. An alternative would have been civil marriage, and on more than one occasion there had been a parliamentary majority in favour of this. However, a vote was successfully prevented by the Christian Democrats, so that any solution to this problem was going to have to be with the agreement of the Catholic Church. Immediately there was a flurry of activity on all sides: Vatican, Government and Austrian bishops. Notes were exchanged and talks conducted until on 12 August 1931 Cardinal Pacelli handed the emissaries a draft concordat. The Austrian Government didn’t reply until 9 December 1932, a delay due to several governments falling in the meantime and also to the fact that under these conditions the concordat was not the government’s most immediate concern. As a result of these rumours Dollfuss spent Easter in Rome trying to make sure that Mussolini wouldn’t betray him to Hitler. After that he attempted to secure the loyalty of the Vatican by rushing ahead with the concordat negotiations. Agreement was reached quickly: on 1 May the treaty was initialled by both sides and on 5 June signed in a solemn ceremony. Not that all this pomp meant revealing the full text, of course. The concordat had a Secret Supplement containing two articles: it kept the changes in the marriage law of Burgenland secret from the Hungarian church which claimed this area and, like the German Reichskonkordat, it kept secret from the rest of the world provisions for the re-armament of Austria. Before anything further could be done, however, Austria was plunged into chaos. 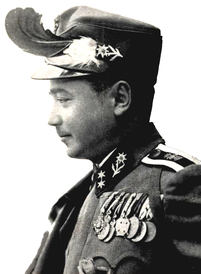 Dollfuss decided to crush the Socialists, the only group who could have been counted upon to help him oppose the Nazis. On 12 February 1934 civil war broke out, but the desperate resistance of the Socialists was doomed from the start. This meant that there wasn’t any danger to the Vatican of losing face by having its concordat repudiated by angry victors. However, the conflict did weaken Dollfuss, letting both Hitler and Cardinal Pacelli press their advantages. When the Socialists were crushed on 17 February, the Nazis offered Dollfuss a truce and an ultimatum. 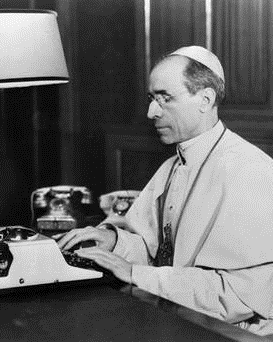 The wily Cardinal also jumped in and on 21 February demanded “improvements” to the concordat. A few days later, on 26 February, he became more insistent: “The wishes of the Vatican which were rejected in the negotiation talks due to the parliamentary situation are now, after a fundamentally changed political situation, easier to fulfil.”  This "parliamentary situation" which had proven so inconvenient in the earlier concordat negotiations was called “democracy”, but now this no longer stood in the way of “the wishes of the Vatican”. 1. "Nichts ohne und nichts gegen die Kirche", quoted in Wilhelm Rees, Katholische Kirche im neuen Europa, (LIT-Verlag, 2007), p. 79. 2. In international law a modus vivendi (Latin for a way of living [with something]) indicates a provisional agreement which is to be replaced later with a final treaty. 3. Note cited by Erika Weinzierl-Fischer: Die österreichischen Konkordate von 1855 und 1933, (Wien, Verlag für Geschichte und Politik, 1960), p. 213. 4. Josef Kremsmaier: Der Weg zum österreichischen Konkordat von 1933/34, (Wien, Verband der wissenschaftlichen Gesellschaften Österreichs, 1980), p. 302. 5. Guenter Lewy, The Catholic Church and Nazi Germany (2000), p. 90. 6. Reichspost 10.9. 1933, quoted in Kremsmair, Weg, p. 304. 7. G[eorge] E[ric] R[owe], The Fallen Bastions. (Harper, 1939), p. 121. 9. MR-Protokoll 931, quoted in Ludwig Jedlicka, Rudolf Neck, eds., Vom Justizpalast zum Heldenplatz – Studien und Dokumentationen 1927 bis 1938, (Wien, Staatsdruckerei, 1975), p. 401.